We are working on a new bracketing system that will provide kids with more matches. Our brackets are designed to provide 2 or more matches for willing participants in their divisions. When brackets have 2 competitors, they will compete in a best 2 out of 3 to determine the champion. For brackets of 3 competitors, they will compete in a true round robin and the champion will be determined by the number and types of wins. For brackets of 4 or more competitors, there will be 2 or more matches for each competitor. No more 1 and done! Get on the tour & win cash prizes! By having your students compete in the BJJ Tour Series you, as an owner/instructor, will also benefit by having the opportunity to win cash prizes! At each BJJ Tour event we rank the top schools based upon the number of students and number of wins in that specific tournament. The top school will win a prize of $1,000. At the end of the year we will tally up the entire series and award the top schools for a chance to win an additional $1,000 for kids & $1,000 for adults! We are also creating a ranking system of individuals and schools for historical purposes. Showcase your school, increase your student sign-ups, and build your academy by competing in the BJJ Tour! TEACHERS & ACADEMY OWNERS: Prize for FIRST, SECOND and THIRD PLACES in the ADULTS and KIDS DIVISIONS. Be part of the highly anticipated BJJ Tour Tournament Series Event in beautiful Davis, California. Brought to you by the promoters of the US Open. The BJJ Tour – Sacramento Brazilian Jiu-Jitsu Tournament will be Saturday, June 08. The tournament will be held at the U.C. Davis. All Age Divisions from Kids – Masters, and all belt ranks are welcome to compete. Medals will be awarded for 1st, 2nd and 3rd places in each division. Every registered competitor will receive a complimentary tournament t-shirt. Also, all registered kids competitors will receive a medal. Competitors check-in at U.C. 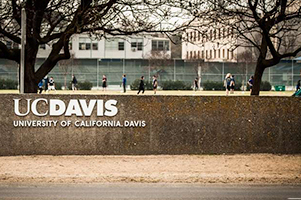 Davis, the location of the BJJ Tour Sacramento Tournament on Saturday, June 08 from 8:00 AM – 3:00 PM. Bring valid identification such as a driver’s license, passport or IBJJF ID. Kids checking in will need a BIRTH CERTIFICATE, PASSPORT or IBJJF ID. All Kid Competitors are required to show their valid identification in the form of Birth Certificate, Passport or IBJJF card to compete. Any Kid Competitor without valid identification will be disqualified and will not compete. No refunds. All Adult, Master & Juvenile Competitors are required to show their valid identification in the form of Drivers License, Passport, State Identification or IBJJF card to compete. Any Adult, Master or Juvenile Competitor without valid identification will be disqualified and will not compete. No refunds. Register Now! NO REGISTRATION WILL BE ACCEPTED AFTER Monday, June 3, 2019 at 11:59 PM PST. The BJJ TOUR – Sacramento will take place June 08 at the U.C. Davis.